Oh my word!!! It is 7:27 and I have just sat down to write my blog. I have been busy being a stay at home mom or my new favorite title “homemaker”. I am starting to like that title better because at least homemaker says a bit about what I do. A stay at home mom, sometimes, to people, especially those who work outside the home, sounds like all you do all day is stay at home and read, watch TV, write blogs about being a stay at home mom and go on lunch dates, and you get to be the teacher’s pet mom because you can drop anything at anytime to help the teacher, therefore teacher will love your kid more because you can come at their beck and call whenever they need it (Oh wait, that last part is just me) Anyway, the term homemaker actually says I make a home. Which is what we stay at home moms do. Most of us anyway. At least that is what I have been trying to do. The way you make a home a home is you start with a family (a family, for this instance, is defined of people living in the same house) you add love, organization and direction to it, that is the homemakers job. When I say organization I am using a slightly loose term here. You, the homemaker, have a plan for what is for dinner and probably know what is for lunch the next day so when the kids come home and eat the last container or yogurt that was for their lunch and pay-day is not until tomorrow or next week, you may have a slight freak out because now what are you gong to put in their lunch, but then you decide some cheese or extra carrots with ranch dip will have to do. You always have a plan that is and has to be dynamic because there are many active beings in this home that you are accountable for… A home is where other who live here come home to kick off their shoes and relax and you work here they are in your work space and you make it their home (and yours). The homemaker is the one who made sure their chair was not covered with laundry so that they can relax (and yes, sometimes this means laundry is on the couch waiting to be folded just not in their spot). They will always have a comfy spot to come home to. Their day ends and yours pretty much begins. Not that you didn’t already spend all day scrubbing floors and toilets and dishes and everything else, you did work hard but you did get to do it between your workout video and parts of episodes of your favorite HGTV shows. Wait is that just me, just the HGTV part? I get my down time and watch what I want to watch on TV or listen to on the radio when I am cleaning or during my relaxing time when no one else is here. A lot of times I feel guilty for having the down time. I think I should be doing ____________ instead of taking my somewhat long coffee time in the morning or going for that long run or an extra class at the gym. But really, I do work a lot even though I never GO to work. I do every weekends worth of cooking for now and forever. I carried the two kids inside my body for 9 months, and the outside my body for at least a year, maybe more. I got up at night to calm them and even clos ed the door or took them out of the room when they were still in my bedroom so I didn’t wake up the daddy because his work starts in the AM and my work was not done just yet. I am the one cooking dinner and cleaning it up, if I am not cooking because we go out I am choosing the destination and planning how we are going to fit in homework time and still salvage a nice early bedtime for the kids so the Hubs and I can have a few moments together before we close our eyes. I will forever be the event planner and organizer and the one running the show on the day of said event. I call and plan babysitters for date nights and for work trips and work days. In all of those moments I earn my downtime during the day and my extended time drinking my coffee in the morning and my time spent running and taking care of this household’s homemaker. However the downtime days do not come as often as the term stay at home mom implies either. Today was not a day of long morning coffee drinking or extended lunch while watching Property Brothers. It was a get the kids up, make breakfast and help make lunches (I am so trying to get them do it on their own, they are so close but sometimes I need to step in and help them know what balance is, “no you cannot take a Nutella cookie sandwich”). Then after I dropped them off at school I came home and tallied wrestling score cards and organized them so all the wrestlers could have their bout sheets. In years past I have wondered what happened to them before and I bet they ended up in the recycle bin because it is very time-consuming to do all of that. I have wanted them I want to know the Boy’s record. So I did it. But didn’t quite finish because then it was time to go to my counselor appointment. My time to process my issues in life and do my work on me. Part of the taking care of this family’s homemaker. Then I went to Costco, I love hate that place. After my Costco trip I put most of my groceries away (only had an hour before I had to pick up the kids from school) and had to finish painting bowling pins for the wrestlers end of season gift and tomorrow some mom’s are coming over to help finish decorating them. After that, it was time to pick up the kids and meet them for a talent show meeting, then take the Girl to dance, then baseball scrimmage where I started teaching other parents to keep score. Then home heated up left over pot roast for dinner and sat down here to blog, then got half way through and decided to take a break from it and hot tub with the kids now I am back finishing it up (hopefully before the kids reading time is over). The Hubs is teaching tonight I am hoping to have time to preview my hump day challenge today to be able to give great pointers to you tomorrow. That paragraph is my chronological day, (oh I forgot that I had to swing into school on the way home from Costco to drop off the permission slip the Boy forgot and had a minor melt down in class because he was afraid he wouldn’t get to participate in the Talent Show). That paragraph, is why I am starting to prefer the term homemaker to Stay at Home Mom. Because everyone thinks and even I have said, “oh yeah so and so is a stay at home mom she has extra time to take care of_____________.” Um I am that mom I do sometimes have time but guess what did not get done today? Laundry did not get folded. Good thing vacuuming and cleaning got done yesterday. So am I a slacker because I spent less time on my house and more time on other mom stuff? Did I slack today? Reread that paragraph and tell me I slacked. Because not only is a homemaker making this home for her family she is also helping others in the outside world (ie team moms) and sometimes gets to do fun jobs like spray paint bowling pins. So I am adding the term “Stay at Home Mom” to the same category as “Just a Mom” because stay at home mom to me sounds like “I can do what ever I want when ever I want” and those of us Homemakers know that is not entirely true! 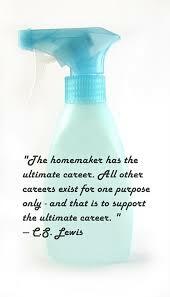 I also want to add that there are many Homemakers that also work outside of their homes (How the Hell do you do it?!) as well and that is tough to have to split your time keep on chugging girls(ooh and guys some homemakers are men). We are the glue that keeps the world together because we know that our provider other half need to have a good breakfast before a big meeting and heaven knows they are not going to have time for that or at least they won’t do it themselves. We know the kids need a certain snack or the right socks on the days they are pitching many secrets of the trade. That is why we get up and do it. We help our provider hubby’s be awesome and set our kids up for success by teaching them to do things for themselves while keeping them under the wing when necessary. The world needs more homemakers and the homemakers need to know it’s okay to take the extra down time to drink your coffee when you can because you never know when you will have a late night puking session that you must attend! Anyway, go rock your household friends. I have about 30 minutes or so before the Hubs gets home (actually I don’t it took too long editing) so the Hubs and I have some scouting new activities to try out and prepare for tomorrow’s Hump Day Challenge! Have a great day everyone!